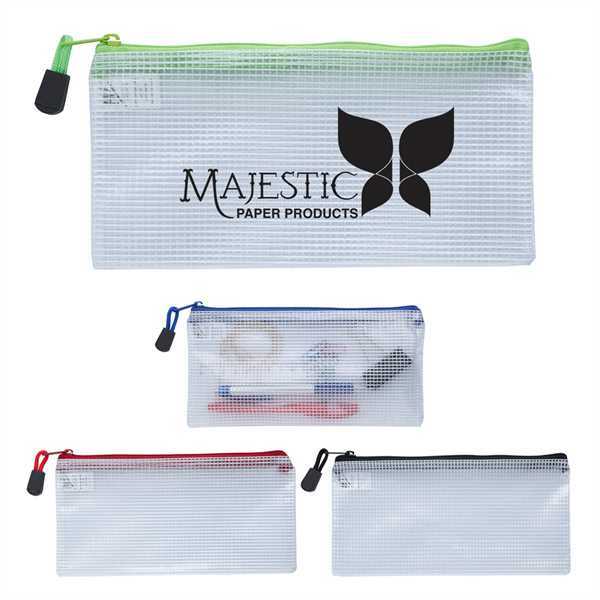 They can carry their accessories in style with the help of your brand when you advertise on this Clear Zippered Pencil Pouch! Made of water and stain resistant poly weave durable plastic rib material, it's available in a handful of product accent colors. This pouch is designed to hold pens, pencils, scissors, erasers and other essentials. Add your company's name, logo and promotional message before handing it out at tradeshows, educational fairs, conventions and any other marketing opportunities! Size: 8 " x 4 1/4 "